The austral summer offers a relatively brief window of opportunity to visit Antarctica from mid-October to March. It’s important to book early to secure your place on the expedition voyage of your choice, as many fill fast and have limited availability. 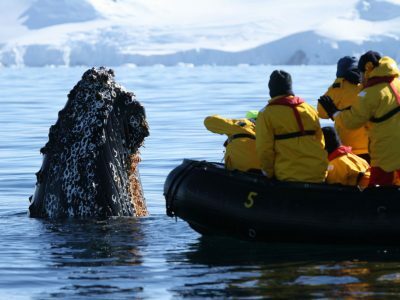 The wildlife and scenery is breathtaking whichever month you decide to travel, but plan carefully if you’re keen to witness a particular type of animal behaviour, see whales at their most abundant or marvel at Antarctica at its most icy and pristine. Christmas and New Year with a difference! Antarctica is the driest, windiest and coldest continent on earth, with the lowest ever recorded temperature of -89.2°C. But don’t let that put you off — Antarctic holidays operate during the austral summer when the Antarctic Peninsula can register a balmy 10°C! Average temperatures are more likely to be around zero, but may feel cooler with the wind chill. Antarctic voyages tend not to start until the latter half of the month when the pack ice begins to break down around the Peninsula. At the start of the season, landing sites are at their most snowy and pristine, offering superb conditions for photographers (24hr daylight is yet to come, so expect rich colours at dawn and dusk). This is also the start of the courtship and mating season for penguins in South Georgia and the Falklands. A voyage combining these sub-Antarctic islands with the Antarctic Peninsula is highly recommended at this time. An icebreaker expedition through the Weddell Sea in October or November will give you a chance to visit remote emperor penguin colonies. Wildlife activity continues to build to a crescendo as penguin rookeries on the Antarctic Peninsula are seized by courtship, nest-building and egg-laying behaviour. 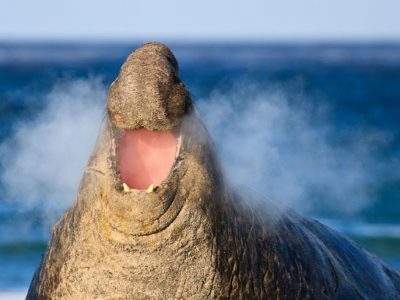 Elephant seals are actively courting on South Georgia, while spring flowers bloom in the Falkland Islands. 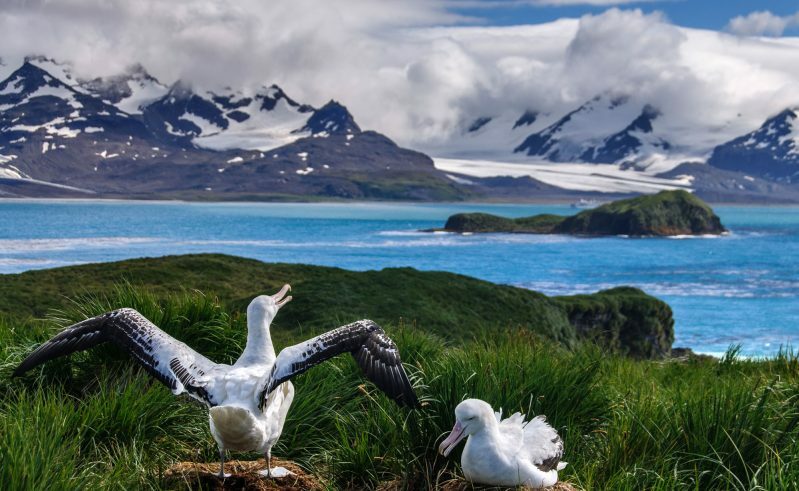 Humpback, minke and southern right whales return to their feeding grounds in Antarctic waters, while albatrosses, petrels and other seabirds can be seen flying over Drake Passage. This is one of the best months to observe penguins and seals on icebergs, while photographers will relish the pristine landscape and superb light. Penguin chicks hatch first in the Falklands and South Georgia, followed (from around mid-December) by the Antarctic Peninsula. Beaches in South Georgia are festooned with seal pups, and you can also expect to enjoy plenty of whale sightings. With up to 24 hours daylight, December is also one of the mildest months to visit Antarctica. 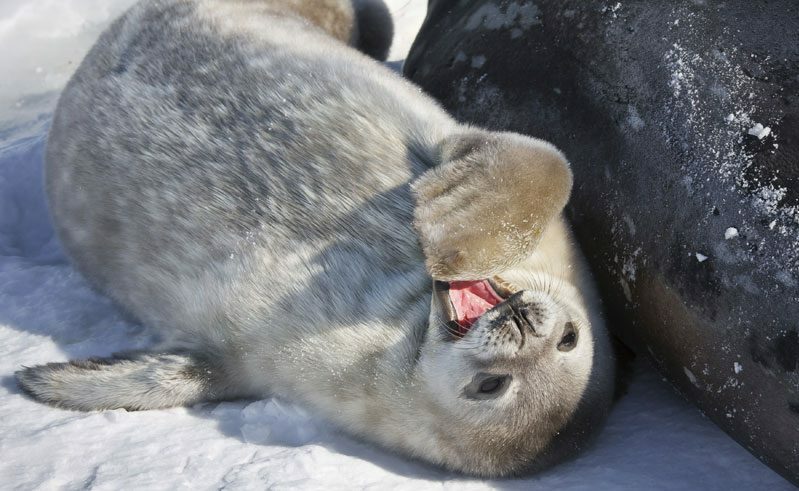 For a truly unforgettable Antarctic experience, combine the surge in wildlife activity, never-ending days and spectacular scenery with a Christmas and New Year voyage. 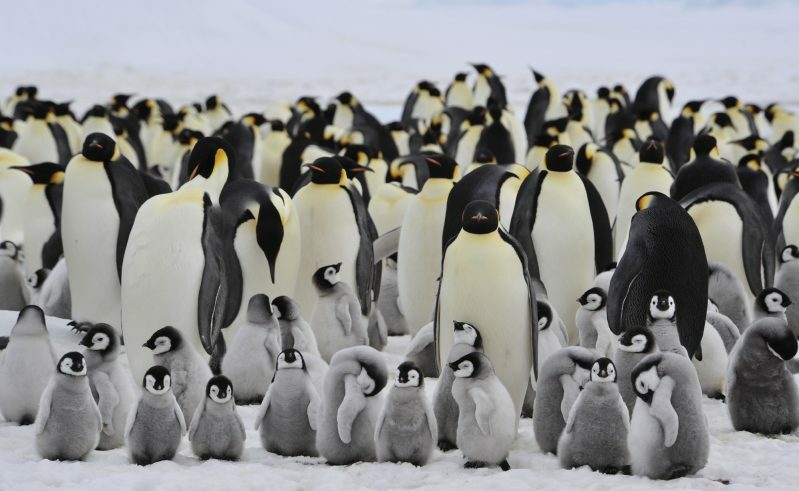 At the height of summer in early January, Antarctica’s penguin colonies are full of fluffy, grey chicks, while parents are busy commuting back and forth to the sea to meet the demands of their hungry offspring. With the added bonus of seals and whales galore, this is an excellent month for watching wildlife. Temperatures can reach 10°C at the coast, accelerating the break-up of sea ice and making it easier for ships to navigate. In East Antarctica you may be able to visit the historic expedition huts of Shackleton and Scott. 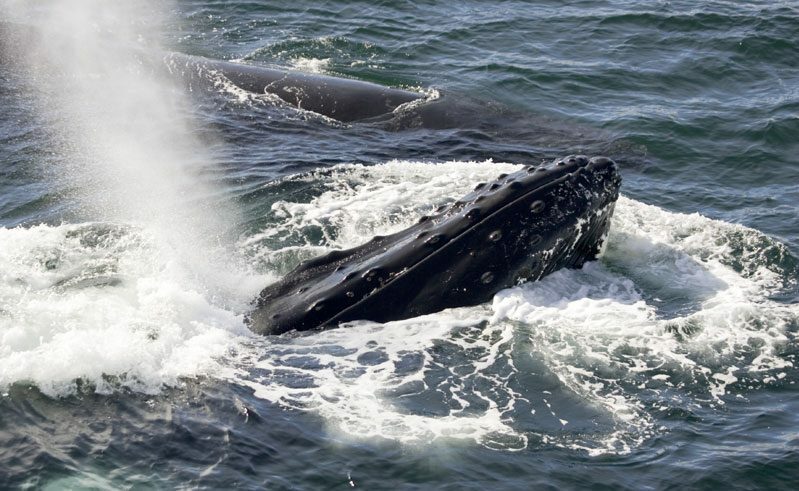 Peak time for whale watching, February sees Antarctic waters teeming with a wide range of species, including humpback, blue, sperm, minke and southern right whale. The receding sea ice not only makes it easier to spot cetaceans, but also allows for freer exploration by cruise ship. This is a good month to explore south, beyond the Polar Circle. Rapidly growing penguin chicks are beginning to moult as they prepare to take their first dip in the sea, while seals on South Georgia are also gaining weight and confidence. As summer wains, the days shorten, temperatures drop and the ice begins to creep back. Although winter is approaching, snow cover is at its minimum. Young penguins continue to moult and can be very curious towards visitors. March, like February, is an excellent month for whale watching in Antarctica. It can also be the least busy, with few other ships around. 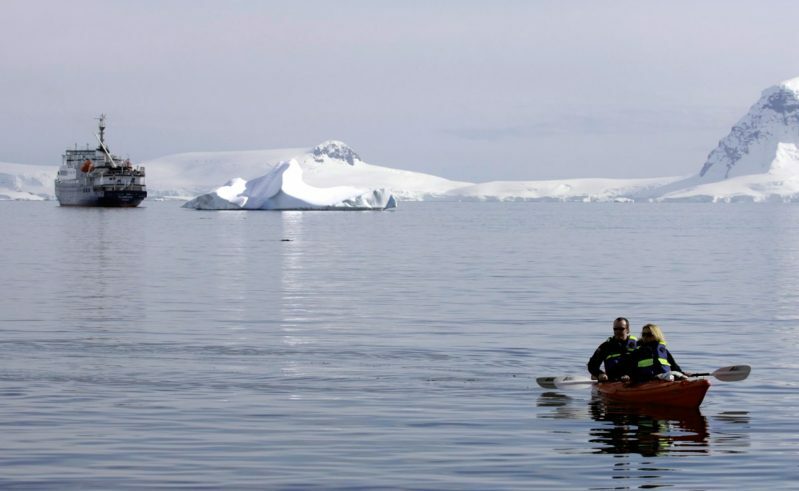 Join a spectacular expedition to the rarely navigated waters of the remote Ross Sea. No photograph can really do justice to the Great White Continent – but here are 16 of our favourite images of Antarctica. 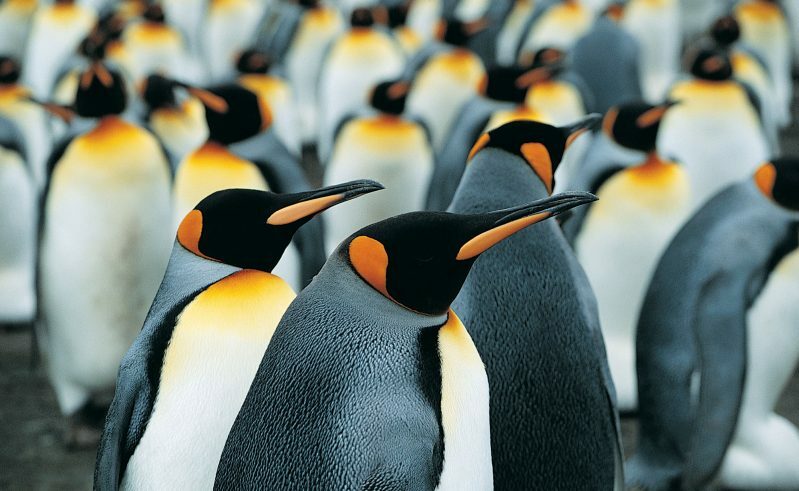 Penguins provide a huge draw for those visiting Antarctica and their status as consummate charmers is richly deserved. Travel Story: Great Antarctic Explorers! Some people dream of sun, sea and sand. 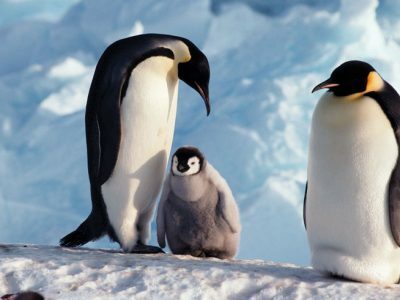 Instead, penguin enthusiast (and Polar Product Manager) Gary travelled to Antarctica to fulfil a lifelong ambition.